Read/write PCIE NAND SN (serial number), model, region (country), color, Wi-Fi/Bluetooth address and NAND underlying data. 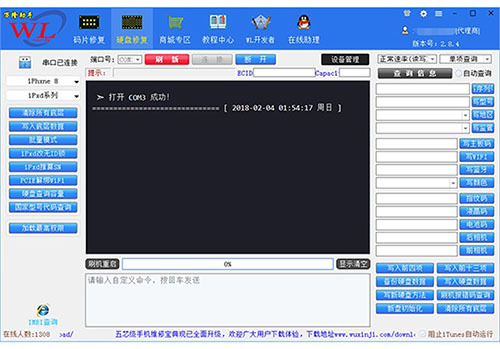 Expand or repair NAND Flash hard-disk capacity. 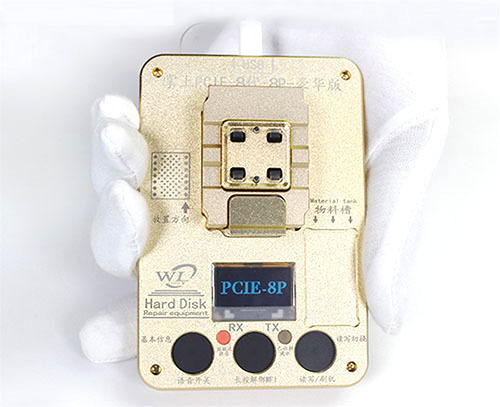 Expand iPhone NAND flash storage. Batch / Mass Burning NAND, fast and convenient. Repair Wi-Fi underlying data, remove Wi-Fi Binding problem. Fast testing of NAND problems.